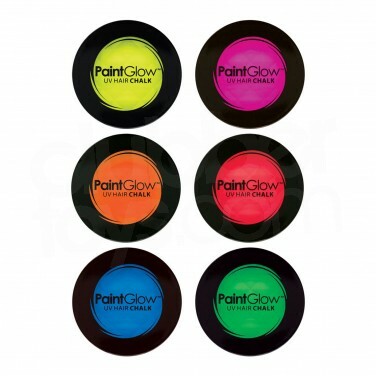 Highlight your hair with fluorescent neon colour that glows under UV blacklight! 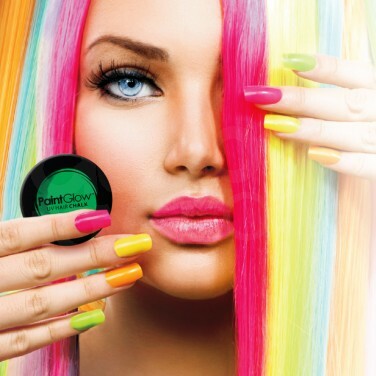 Enjoy vibrant hair colour that fluoresces under UV blacklight for a striking look that's right up to date! 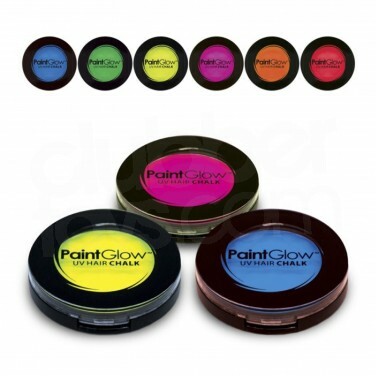 UV neon hair chalk is a talc based hair colour that coats your hair in neon colour; simply apply with the the sponge applicator provided and set with hairspray for colourful looks that glow.